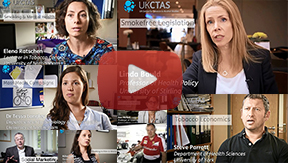 UKCTAS is one of six UK Public Health Research Centres of Excellence funded by the UK Clinical Research Collaboration initiative. CEDAR is studying the factors that influence dietary and activity related behaviours, developing and evaluating public health interventions, and helping shape public practice and policy. CEDAR is a partnership between the University of Cambridge, University of East Anglia and Medical Research Council units of Epidemiology, Biostatistics and Human Nutrition Research. Public Health Northern Ireland is a collaboration of several organistions strengthening research in complex public health issues such as obesity, smoking and health inequalities. Working within the framework of the Regional Health and Well-Being Strategy (Better Health, Fairer Health), Fuse supports the transformation of health accross the region, through public health research and the application of knowledge in policy and practice. SCPHRP's vision is to develop Scotland as a leader in public health intervention research for equitable health improvement through catalysing strong research/research-user collaborations that ensure timely, robust, policy relevant research that is created with - and used by - key decision makers. The UK Clinical Research Collaboration brings together the NHS, research funders, industry, regulatory bodies, Royal Colleges, patient groups and academia in the UK-wide environment that facilitates and promotes high quality clinical research for the benefit of patients.